At the Piatchek Law Firm, our attorneys are here to help you seek justice and receive compensation for the injuries you have sustained at the hands of medical professionals. Medical malpractice harms thousands of Americans every year, and oftentimes patients don’t know the full extent of their injuries for some time, nor do they understand their rights and the options available to them. No one is more innocent than the sick, and although mistakes are inevitably made, part of being a professional physician includes owning up to your mistakes and doing what you can to make things right. 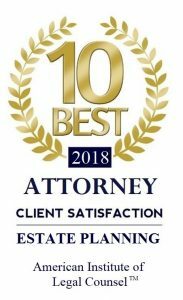 With an attorney from the Piatchek Law Firm on your side, you can be confident that your interests will be represented by an experienced, professional attorney who is compassionate and sympathetic to your situation. Our lawyers always treat our clients with the understanding, respect, and compassion that they deserve, while still aggressively pursuing the party that caused the injury, as well as contributing parties and any insurance companies involved. For caring and experienced legal representation, contact our offices to arrange a confidential consultation. Evening and weekend appointments are available upon request, and we can arrange a home, office, or hospital visit if you are unable to travel to our offices. So if you have been involved in a medical procedure gone wrong and have questions, contact us at 417-882-5858 to get started. * Clients may be responsible for costs or expenses. Past results afford no guarantee of future results. Every case is different and must be judged on its own merits.